Each year, PromoGuinée acquires the list of all the students in the region of Conakry who passed the national exam and heading to high school. We select the top 20 of the students who come from a public school, assuming that they are in the public system because their parents cannot afford to send them to better school. This step involves a social investigation done by the members of PromoGuinée by visiting the families of the candidates to determine their needs. In Guinea, most parents who send their kids to public schools just cannot afford otherwise. However, some families do choose the public school system, for various reasons, even if they can send the kids to private schools. At this, PromoGuinée only sponsors families with demonstrated financial needs. A few candidates are sometimes disqualified at this phase of the process. The remaining candidates are registered to take the acceptance test at one of the private schools that we work with. From those results we select the top six students who will benefit from a full scholarship that includes 100% tuition and fees, school supplies, textbooks, new backpacks, new school uniforms, new shoes, and sports uniforms. extra study time for the classes causing trouble like English, French, etc. The scholarship recipients mostly come from environments that are very different from the environments that we place them into. Frequently, their parents don’t own vehicles; their homes aren’t well equipped to be a viable environment to study properly (lack of electricity and even water, small rooms, no study areas, etc. )The private schools that PromoGuinée sends them to are usually full of students who have much better accommodations in their lives and have, most likely, always been in that type of surroundings. In the public schools, there are classes where one bench is shared by three to four to kids (sometimes five); some kids may not even have to sit on the floor. 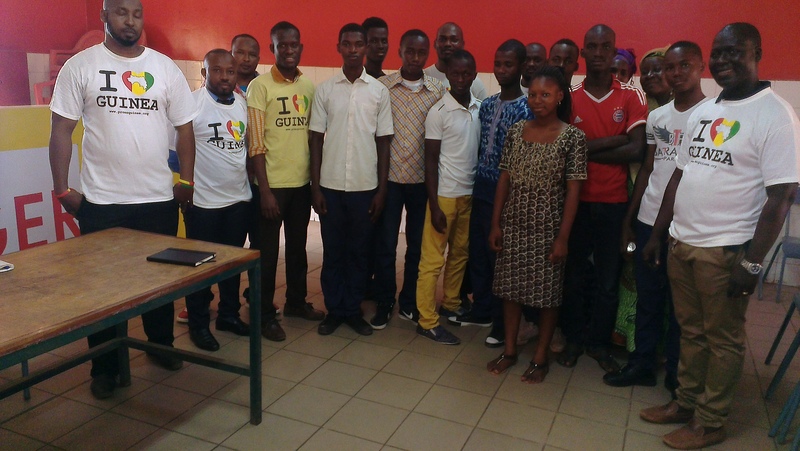 After graduation PromoGuinée continues to provide help and counseling services to the young men and women at time of orientation, simply to ensure that they make the right decisions about university studies. Limited financial assistance is still available to them at that point too. Every graduate receives a one-time grant from PromoGuinée to help support them the critical orientation period.